I’m all about riding more and waiting less at Disneyland. When you have a baby, though, all hopes of riding dozens of attractions each day during your Disneyland visits quickly goes up in smoke. Or does it? On our recent travels to Disneyland, my family found a smarter Disneyland strategy with a baby by maximizing our use of Disneyland’s Rider Switch and Fastpass services. I’d like to think we found a way to hack Disneyland with a baby. The key is Rider Switch, which is a benefit many families with young kids already know about and use. Rider Switch allows some members of your group to ride an attraction while one or more adults waits with a baby or young child not tall or not brave enough to ride. The adults then “switch” baby duty, which allows the rest of the group to ride. It is offered on all the major attractions at Disneyland park and California Adventure that have a height limit. Usually you just need to have the baby or young child present at the entrance to the ride so a cast member can verify you are entitled to the benefit. Disneyland Rider Switch Passes: The golden tickets! It works a little differently on each ride, but the basic principle is the same. The adult waiting behind is given a return ticket that allows him or her to ride the same ride with up to two additional companions with little to no wait. A little known fact is that you don’t have to use the Rider Switch pass right away. A Rider Switch ticket is good for the rest of the day (and this will become very important later if you keep reading!). How does the second group of riders skip the line when they do choose to redeem the Rider Switch pass? On rides that offer Fastpass, the Rider Switch return ticket offers entry for the second riding group into the Fastpass line. On a few other rides without Fastpass, the second riding group cuts the line through the exit or a side entrance to access the ride. Just ask the cast members at the front of the line where the Rider Switch entrance is and they’ll direct you. For those of you who know and use Rider Switch, there is a way to use it even more efficiently. Rider Switch works in conjunction with Fastpass, which is another method to cut down on wait times (see this primer on Fastpass if it is a new concept to you and note that Fastpass at Disneyland is very different than the new Fastpass+ system at Walt Disney World). If you are using Rider Switch with your child, you can and should obtain Fastpasses as needed just like any guest not using it. After all, there is no need for the first group of riders in your family to wait unnecessarily. When you are acquiring Fastpasses to use later in conjunction with Rider Switch, your instinct might be simply to use your tickets to grab Fastpasses for everyone in your group for the same ride at the same time. Because everyone except the baby wants to ride that attraction, right? No! Wait! You should only obtain enough Fastpasses as needed for the first group of riders in your party. The others who will wait behind will not need a Fastpass because the Rider Switch ticket acts like a Fastpass when it is their turn to ride. But a Rider Switch ticket is better than a Fastpass because it has no time limit on its use that same day (for those who bemoan the end of “late Fastpass,” this essentially means it’s back for you if you have a baby). A Rider Switch ticket can, and often should, be saved for later. At the same time you are getting Fastpasses for the first group of riders, put the tickets for the second group of riders to a better use: getting yet another Fastpass for a different ride! You can essentially double your Rider Switch ticket acquisition using this strategy. When the Fastpass window for the first of these two rides becomes available, the first set of riders should take those Fastpasses and present them at the Fastpass entrance as usual. Be sure to tell the cast member as you enter that you are part of a group that also needs a Rider Switch ticket (remember that the rest of your group usually needs to appear at the same time to “prove” that you actually have a baby). When that first ride is done, pocket the Rider Switch return ticket. Go on to use the second set of Fastpasses for the other ride (this assumes, of course, that you’ve timed it all right and the ride window for that second ride is open). Pocket the Rider Switch return ticket as well and save them both for use during crowded park times or just when using them fits into your family’s overall plan. Of course, as soon as you can, get more Fastpasses for your next pair of rides and repeat the process. Singing the praises of Rider Switch with Disneyland’s Dapper Dans. Here’s an example with our family of 4. We have a 1 year old son (too small to ride anything with a height limit) and a 5 1/2 year old daughter (tall enough for almost everything). Our baby is too young for a ticket, so this meant we had three park tickets to use to obtain Fastpasses during our visit. When we arrived at the park to start our day, we obtained three Fastpasses with our three tickets: two for Star Tours, immediately followed by one for Space Mountain. All of these Fastpasses had return times of about 10-11 am. Right at 10 am, my daughter and I presented our two Fastpasses to ride Star Tours while my husband waited with the baby, being sure to ask the cast member at the Star Tours entrance for a Rider Switch ticket as we entered. As soon as we finished (with our Star Tours Rider Switch pass in hand), my husband then headed to Space Mountain to ride it alone with the single Fastpass. My husband obtained a Rider Switch ticket for Space Mountain for our family to use later. While he was riding Space Mountain, I took both kids to ride something else nearby like Buzz Lightyear (this is also a great time for a bathroom or snack break). Within the span of about 30 minutes, we then had obtained a Rider Switch pass good for three people for Star Tours and and the same for Space Mountain. We pocketed both for the time being, and everyone had gone on a ride or two. If we had initially obtained a Fastpass for all three of us for Star Tours, one of those Fastpasses would have been superfluous and and probably gone unused due to expiration. And we would not have had that return ticket for Space Mountain. Because Rider Switch essentially allows you obtain a Fastpass that you can use at any time, wait and save them for later as we did. Collect a few early in the day when crowds are shorter and save Rider Switch tickets for redemption during the middle of the day when lines are at their worst. Baby at Disneyland? No problem! We still rode all the thrill rides using Rider Switch. For families of 4 with one older child and one young child old enough to need a park ticket but too small to ride the thrill rides (ages 3+), your older child will really reap the benefits of Rider Switch. Here’s the same Star Tours/Space Mountain scenario played out when your family has four park tickets but one younger child who needs to wait behind. Older child gets to ride both rides again with one parent later in the day. So, while Mom and Dad are switching off throughout the day, the older child gets to ride double the thrill rides. Just don’t leave out the younger kid in this scenario! Instead ride the many other age-appropriate rides while you wait on the thrill-seekers. Want to really take Rider Switch and Fastpass to the next level? Use it to your advantage for a Disneyland date night. My husband and I often hire a babysitter from a trusted agency in Anaheim to stay with our kids at the hotel one evening during our Disneyland trips. On a few trips, we have had grandma along to watch the kids one evening instead. Date night at Blue Bayou! With Rider Switch passes in hand. On our last trip, we collected Rider Switch return passes all day long (my daughter still got to ride everything she wanted but my husband and I traded off with the baby on different rides). The result? We had collected quite a few Rider Switch return tickets by the time we were due to pass our kids off to the babysitter for bed time. We headed back to the park and used them ourselves. Using this strategy, we managed to ride 9 attractions and even have a sit-down romantic dinner at the Blue Bayou restaurant on our date night. And on a holiday weekend no less! That was a successful date night. To be sure, this Rider Switch and Fastpass strategy is not for the inexperienced. You need to know Disneyland pretty well to get maximum value. You need to know which rides offer Rider Switch and which ones are close enough to each other that you can hit Fastpass machines for both rides without adding a lot of extra walking time to your trip (Star Tours & Space Mountain make a great pair, as does Big Thunder Mountain & Indiana Jones; the pairings aren’t as close together in California Adventure). If you want to collect as many Fastpasses as we did, you need to plan and move quickly even with small kids in tow. But even if you only employ this strategy on a casual level, doing it a few times during the day is worth it. I can guarantee you will still get to ride much, much more than anyone else at the park with a baby. I can probably promise you that you will also ride more than the average person in the park without a baby. All it takes is a little planning, preparation, and understanding of how to use the system. Ready to go on a Disney trip yourself and try these tricks? I’m excited to be working with the family travel site Trekaroo to spread the word about an amazing giveaway that will send two families to Disney destinations. Be sure to enter here! 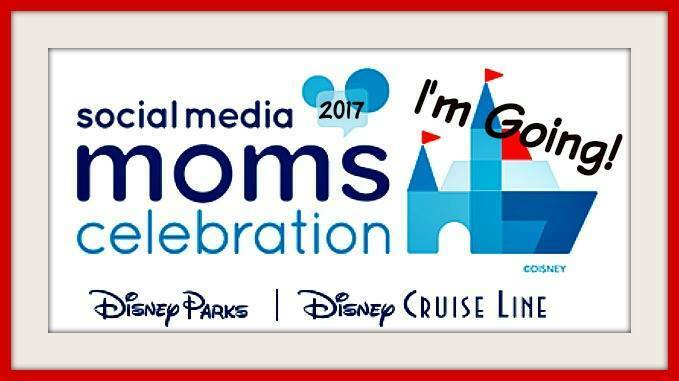 Win a trip to Walt Disney World! : Package includes three-day park hopper passes for a family of four (two adults, two children) plus six (6) nights’ accommodation! Win a trip to Disneyland & Southern California! : Package includes CityPass tickets for a family of four (includes three-day park hopper entrance to Disneyland and California Adventure) plus three nights’ at the Anaheim Courtyard Theme Park Entrance hotel. Follow Trips With Tykes’s board Disneyland on Pinterest. Genius! Very well played my friend! Also remember you are there for you and that the baby would have just as much fun at the market. Enjoy YOUR time there! Take the baby on Small World, Haunted Mansion, and the Rockets! What about Disneyworld? Do you think it works well there? We are two adults and the childrens (3 & 5) visiting the Florida parks late march and we would love to use your stratege lol! Jonathan, Thanks for commenting! Disney World is a different ball game because the Fastpass system is different with the new MyMagic+/Fastpass+ programs. You’re simply not as likely to be able to get quite as many Fastpasses there. And with Fastpass+, you have to (or at least it’s recommended that you) book them well in advance. I’m pretty sure you can have members of your party book different Fastpass+ reservations for different rides, but matching those pairs up at around the same times would be challenging unless you booked the less popular attractions. That said, it is my understanding that the Rider Switch passes you can get at Disney World don’t have expiration times either, so that portion of the strategy would still work at Walt Disney World. Wow, great tips. I never would have thought about hiring a babysitter while on vacation, but that’s a great idea! Great idea! I never thought to do this with the switch passes. Using fastpass and rider switch together sounds like a great way to save time! Thank you for the advice! My family is taking our first trip to Disneyland this fall- kids aged 8 and 2. This will definitely be helpful for the rides that our little one won’t be able to go on! But also, Grandma joins us on our vacations and she’s not usually up for all the “big” rides, so she’s also there to watch our 2 year old while the rest of us ride something that he can’t. My babies are now 7 and 10 years old, but the tips you provided for those with little ones are great. We always took advantage of rider switch when my youngest was not quite tall enough to ride. Loved using ride swap at WDW when my girls were little! Wow, I had no idea you could do all this. It must take a lot of planning to get the most out of these features. We used the Rider Switch pass at Disneyland. It was great! We loved that both my husband and I could experience the ride with our older children! The kids loved it because they got to go on the ride again. When we traveled with our 5 month old the baby station were awesome including a place to change diapers, a small toilet for your toddler and a comfy chair to breastfeed your baby. interesting, didn’t know about the switch pass! I have kids of mixed ages, so I love these tips. Helps me get the older ones on rides the younger ones are not ready for! These are great tips for a family with young kids. Great tips! We have never tried using the rider switch but definitely will now! Great tips! Love the one about the rider switch! Too bad this isn’t applicable to Disney World! I’m going there in April! Thank you so much for writing this article, this is priceless information! We love Disney and always looking to make our trips even more enjoyable! I didn’t know you needed an actual pass! Thanks for the tips! Great information for families with little ones, thank you! that is SO cool!! I am in Florida — I wish our Disney had rider switch passes! Rider Switch has been such an amazing addition to our touring plan. Now our oldest daughter doesn’t complain when the baby can’t ride! Seriously ingenious tips! I had never thought to combine them or save them for later in the day! Thanks for sharing!! Great info! Thanks for writing it up! Disney is my absolute FAV! Thanks for all the tips: never heard of the rider switch pass before…brilliant idea! We used rider switch when my girls were too ‘scared’ to ride the big rides. This is great info to have! Awesome idea to combine the Fastness and Rider Switch. I wish my kids weren’t older now. I love the date night idea! Great tips for combining rider switch with fast pass! I never went with a baby, but maybe one day! Thanks! Wow! I knew about fast pass but never knew rider switch! Thanks for the tip! I had never heard of rider switch Cool to know. I didn’t think to save up the Rider Switch passes! What a great idea, thanks! Wow! We’ll have to try this! Looks like a little bit of planning can really make all the difference! Great ideas. These are awesome tips. The rider switch is an amazing tool. I know on past trips if we hadn’t used it I don’t think we would have been able to experience as much of the park as we have. These are amazing tips and I’m hoping I’ll get the chance to use them! Great article! I wish I had known about how awesome these passes are when my kids were little. Great tips! I haven’t been there in forever, but now have a 5 and one year old. I wasn’t sure that it would be possible with the one year old, but it certainly seems doable with these tips. Thanks! Forwarding this along to my friends with little ones! Thanks for this post. I hope to visit Disneyland someday! Great tips! Babies love disney! So many things you need to know about going to Disney. This is amazing! I use this with my daughter. Love the idea of combining rider switch and fast pass. We have done the Rider Switch with friends, too, and it’s very convenient. I wish I had these tips for when I went in February! Thanks for the information. I want to go to Disneyland!! Great tips, hope to be back in the Happiest Place on Earth Soon! such good suggestions and tips! Rider switch passes are amazing because you wouldn’t want to miss out on the ride and you definitely wouldn’t want to wait in line again unless you wanted to! Super cool and great to keep in mind for the future! Thanks for explaining it so well! I wasn’t sure I understood how it worked but the examples were so well laid out! Great tip! Our best tip for including Baby in the magic? Bring Grandma with you, stay on property so it’s easy to get around, and have a rental stroller (that fully reclines and has a generous-sized cover for shade) delivered to your room so you’re little one can nap on the go! Take advatage of nap time for some adult fun time! ? Great ideas!! Used something similar years back!! Great info! I love Disney! ? Awesome strategy! Thanks for sharing! A Disney date night sounds great! Thanks for this! I actually wish they had this back when I was a kid. I was always the one not brave enough, and so I know my family missed out sometimes because only part of the group would go. I totally agree! The rider switch pass works magically when you have an infant and a toddler. I never knew about this until a worker mentioned it to me when he saw my husband and toddler go on a ride and I was just watching them with my infant while they walked into the line. Oh the benefits of having babies! Such good ideas for enjoying the parks to the fullest! Great info! I’m looking forward for our next Disney vacation! Never been to Disneyland before, thanks for the info. Hi, we are a family of 3 with a 4 year old and she is 40 inches. Can we use the child swap for rides like Autopia and Buzz light years since these rides only have seats for 2. Does my daughter get to ride twice with a different parent? Anything to make it easier . Thanks for the heads up. Wow! I had no idea this could be done. I am going to have to remember all of this! Thanks. What a great tips !! I never would have thought about a babysitting service–thanks for all of the tips! I have been trying to find more detailed info on the rider switch passes, thanks so much, unfortunately planning the trip to Disney World and not Land, so from what I understanding reading this it’s a little more complicated…that’s a bummer. Either way going to reread this again and utilize it the best I can at the next vacation. Thanks for the tips! Blue Bayou is our favourite! We book so early in advance to make sure we always get to eat there!!! We don’t have kids yet but these are great tips! Thanks for all the great info. I would love to take my grand kids. we have never been to disney. Have to wait until money will allow. i have 4 Grandsons, ages 13,10,5 and a 2 year old. Rider Switch service is a wonderful service to make sure everyone is having fun. Disney thinks of everything! Great tips and ideas. I’ll for sure refer back to this post when we plan our next trip. My kids are too old for rider switch, so Fastpass is the way to go for us! Love love love the rider switch option! I would be taking my grandsons so my daughter would be there too. these are great tips for parents with young kids. My boys are older now but we Def did some of these when they were younger and there are others that I wish we had known. So much fun! I sure will be making use of a rider switch pass. Wow! Interesting! I had never heard of Rider Switch! Haven’t ever thought about saving those rider switch passes for later, we usually use them right away and the kids get to ride twice. We rented a stroller and definitley used the Rider Switch when we went with our little ones and inlaws. Great post. We didn’t utilize this on our last visit but will definitely try Rider Switch next time we go! We don’t have children but Disney is for lovers right?? These tips are very helpful. Thanks for sharing. Wonderful tips! Will definitely have to try this out! Rider switch is awesome … especially for the kid who goes on the ride over and over with fast pass & rider switch combo. My top tips: bringing a stroller with a bright bandana tied to it, and lots of snack! Fast passes are def the way to go! We sue them at other parks so In know it would be a great idea to get them here! When my sister, her husband I went with my kids (hubby was serving in the Army) we used rider swap, it was VERY easy to do! Lot’s of great tips to do Disney with a baby. However, it has been 21 yrs. since I had a baby! But someday I can use your tips with the grandbabies!! I didn’t know about the Disney’s Rider Switch. Thanks for the info. Wow it sounds like you have the Disneyland rider system all figured out. Although I’ve never been to Disneyland I love the fastpass system at Disney World. They are a must have on crowded days. wish i could take my kids to disney! If your little one uses a soother / pacifier be sure to bring extra. Disney doesn’t have many and when they do they are behind the counter, not on display at only a few guest services places. Rider switch is such a nice perk! Thanks for sharing. Great tips. I didn’t know about the rider switch option. Thanks! Thank you for sharing these fast past tips, I wasn’t sure how a family of four with the ages of kids we have would equally enjoy the trip! Nice to know we can take turns and it will all work itself out!!! Thanks for the great information! It is always tough to do these kinds of trips with little ones. These tips are quite helpful. ? Great tips for someone with a baby but my baby years are over! It is so nice that Disney makes it easy for parents of children to experience everything with their children. Don’t forget that there’s a baby center on Main Street! I had no idea that rider switch existed! Thanks for these tips. Thanks for the tips, your suggestions for Combining Rider Switch and Fastpass sound really useful!!! Great Tips. My son is 12 years old now so I do not have to worry so much with small children, but we are both wishing to make it to Disney soon. Rider switch sounds like a great option for those with littles! Such spectacular information! Thank you!! Very good details on the switch pass. I understand it and this will so benefit us. This is brilliant !! I’m saving this since we have a 10 month old & a 4 year old 🙂 will be great to switch out & have date night rides too ! Sounds like a great strategy! I will have to try thr rider switch pass next time. I love that they have this option and think of the parents too – so cool! The rider switch pass is genius!! I had no idea they had this! Wondering how different DL is from WDW. I was at DL when I was six and barely remembering anything. Hopefully some day soon I can get back and relive it. Does DL have a single rider line? That usually goes really fast, as long as you don’t mind potentially sitting next to a stranger. When my son was little we used rider switch pass quite a bit. Now that hes older he can go on with us! These are great tips! My son is now 7 but these were great when he was younger. I didn’t know about using the rider switch later on! Good tip! Good to know about the rider switch pass. I need an article with tips for grandma! Definitely an article I would share with my friends who have kids and want to visit the parks. HOLY COW!! thank you for this post ( no, really…thank you, thank you, thank you!) the info on the rider switch process,, so useful! These are fantastic tips! Getting the most out of our Disney trip is very important to us because it probally will be a one time deal.Using fastpass and rider switch together sounds like we can max on our experience. We used those when my daughter was a baby. It was awesome. Love the Rider Switch techniques! These are such helpful strategies! Thank you so much for sharing! I like this benefit of knowing about the fastpass when you have a child. Its kind of nice to no if one has to stay back with the child there are still good benefits for that person. Thank you for the information about the switch rider passes. I love how you then used them to do more on your date night. However even without a babysitter, the switch rider passes would sure be a great way to ride an adult ride. Really good information for those of us with small babies or toddlers. Disney tries to make it easier for families of all shapes and sizes! Really great tips! I didn’t know about the rider switch passes!! Really awesome info!! Thanks so much!! This is brilliant!! Thank tou for the tips! THIS IS AMAZING!!!!! traveling with little ones is better than having older kids!!! i cannot wait to go there this summer now! we will be there at the busy season, so being prepared will be extra important! cant wait to read all of your other tips! We have 5 kids, (4 riders) and didn’t want to split up so we just combined our extra fast pass with the ride switch and went again right away. It cuts down on the traveling around. Sometimes we kept them for later in the day (or even later in the trip if the date was left off!) My kids probably rode screamin 16 times this last trip. Ride Switch + fast pass means no waiting ever! (On the best rides, anyway). Hi! Do you know if this strategy is still valid?? It’s awesome!! It is still very much valid! Any tips for making this work with a larger group? We will have 8 tickets and our grandbaby will is 1.